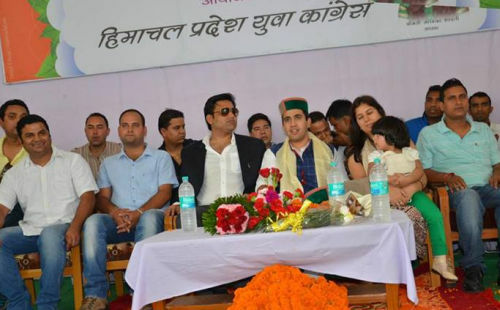 To attract maximum numbers of youth under the umbrella of Youth Congress, Himachal Pradesh Youth Congress has organised Yuva Sammelan at Vipasha Sadan near Mandi town. Vikramaditya Singh, Monika Bharti, president state Youth Congress, Raghubir Singh Bali, vice president state Youth Congress, Ashish Butail, Kangra parliamentary president were present at the occasion along with other youth congress leaders. While addressing the gathering at the Yuva Sammelan, Vikramaditya Singh asked youth of the state to actively participate in the politics. He said that Youth Congress activists should work towards the awareness of masses about the policies of the Centre and State government. He also asked youth to join Youth Congress for the better and transparent political set up. 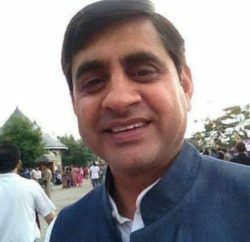 Raghubir Singh Bali, vice president state Youth Congress, once a strongest political opponent of Vikramaditya Singh and had fought a bitter election of first edition of Youth Congress against him also presented at the dais and praised the Youth Congress platform. He said that Youth Congress provides a podium to all hardworking congress workers and anyone from anywhere can be elected to the top post of the party set-up. He asked the youths of the state to actively participate in the awareness campaign of the policies of the government and should work for the needy people and fight for their right. Monika Bharti, president Himachal Pradesh Youth Congress also addressed the Yuva Sammelan and asked youth leaders to work hard to get more and more youth under Youth Congress banner. Second edition of Himachal Pradesh Youth Congress election is schedule to hold in coming November and for that membership campaign has started from 2nd September and will be closed on 29th September. Most of youth congress leaders are working hard to enroll maximum number of youth and making all-out effort to score in the November election. Youth Congress activists believed that with the united show from the top youth congress leaders of the state will send a positive message among the youth and will definitely help to attract more youth. Buoyant with the response from the youth in the Yuva Sammelan, Dharampal Thakur, in-charge youth congress Himachal Pradesh congress committee, believed that charisma of Vikramaditya Singh will help to attract maximum numbers of youth in the system and a united show from the youth congress leaders will help to enroll record number of youth. 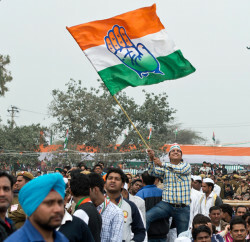 In the previous edition of Youth Congress election, political fall-out had marred the notion of democratic setup within the party fold as party had divided virtually into two major camps. 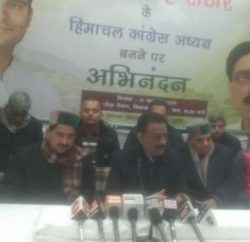 Even Youth Congress election in Himachal had become a medium for senior Congress leaders in the state to show their strength ahead of assembly election in the state. Many Senior leaders had joined hands against Virbhadra Singh led camp. But despite all odds, Vikramaditya Singh secured election with thumping 3485 votes. However later political opponents managed to null and void his election and even debarred him for the re-election. This had even added another bitter chapter in political fallout in the state, just before the assembly election, which had cost many political aspirants dearly. This time again involvement of senior leaders cannot be rule out as most of senior leaders would want to see their supporters to clinch to the Youth Congress post.